Or in my case, half a hat! 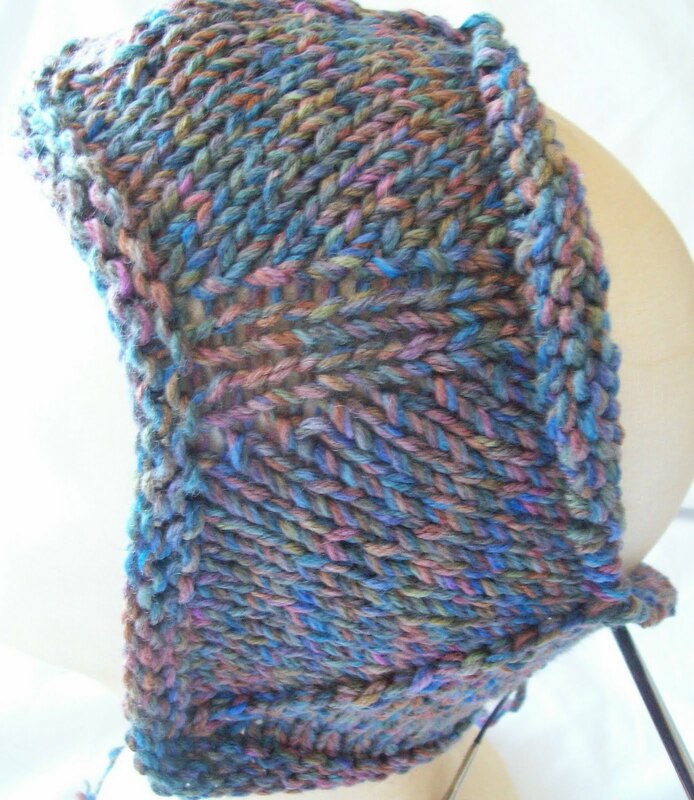 One skein down, and likely (because I am just beginning the shaping) not even a full skien to go-- Shaping is done with decreases, and even if I have only half the rows knit, the future row (or more correctly rounds) will have few stitches, and will need less yarn. I've modified the pattern a bit (again) this time to make the front less pointy—but it still has some of the best features of any hat I know. 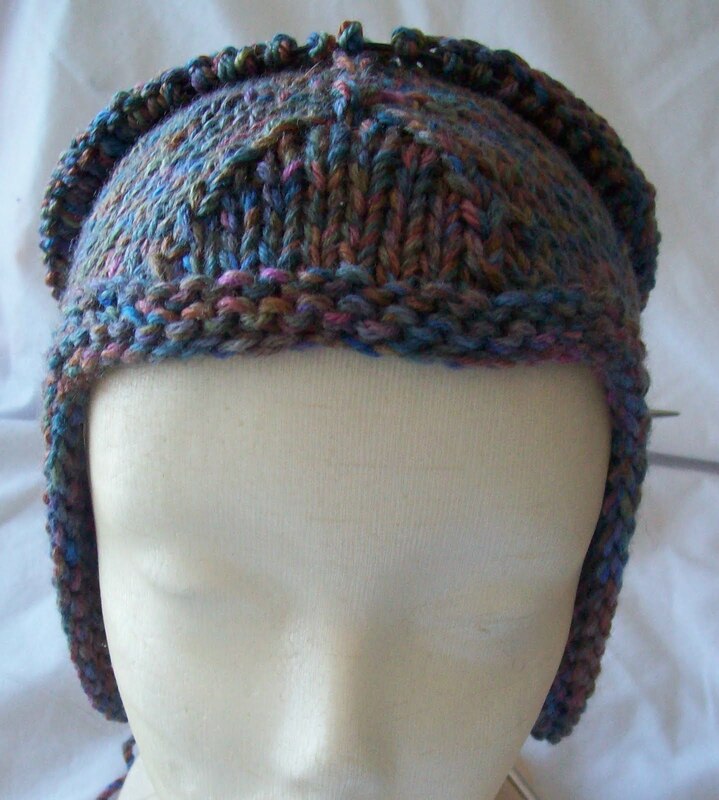 Long in back (so it covers the back of head and top of the neck) shaped (so it covers the ears but not too much of the forehead) –close fitting (which tends to be warmer), easy (different , but really not a hard hat to knit)--a nice blend of features. The yarn is Beatrice (now discontinued) a some what chunky yarn—the color way is a number, but its a nice blend of blues, drab purples, (some pretty light, and almost pink) browns and greens. Definitely a masculine color, but not drab or boring. 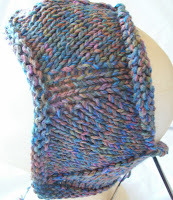 And its a very soft plushy 100% merino. I am using a size 8 (5mm) needle (not the recommended size 9(5.5mm) to make a nice tight fabric. It looks like (modeled) it is more than half done—but that is only because the head model is so small! 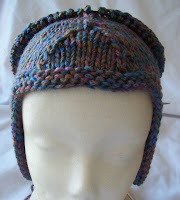 There are still a number of rows to go to make a full sized adult male hat. I expect to be done (and finished!) tomorrow, and to have done some other finishing too!